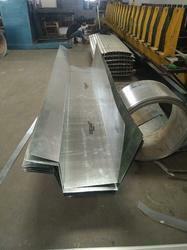 Our organization counted as one of the leading manufacturers and suppliers of GI Gutter. These Gutters are manufactured using optimum quality raw material and basically used to carry water from the roof to the downspout or drain. Moreover, these GI Gutter are reliable anti-corrosive and leak proof. Anti capillary groove prevent the capillary mechanism of water and hence provides a complete leak proof solution. 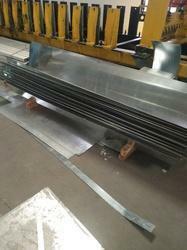 We offer these GI Gutters at most affordable prices to our precious customers. We have very reliable gray iron gutters and accessories with qualities such as anti-corrosive and leak proof features. Anti capillary groove resists the capillary mechanism of water and hence provides a complete leak proof solution. Our GI Gutters and accessories are designed to carry water from the roof to the downspout or drain. Our gutter variety and accompanying accessories are among the most celebrated and durable in the industry. Rainwater conservation is a well known technique of conserving the water. This system of Rain Water is an innovative and in fact the very first concept of utilising the rainwater. This range of Gutter has been specially designed for this purpose. With the help of this system, you can easily direct and store the rainwater flow towards desired destinations such as bore well, pits, trenches, wells and shafts. 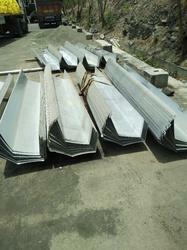 This Gutter Are Available In Very Affordable Price..